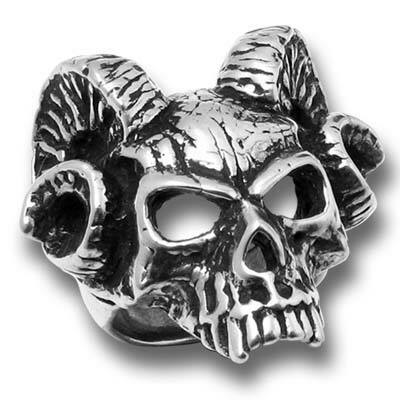 Ram-horned guardian of the gates of the abyss men's ring. 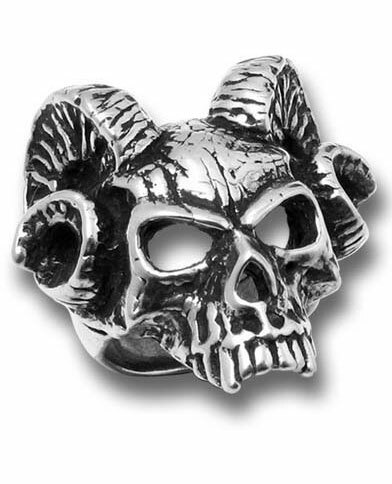 Made of fine English pewter. Measures approximately 1.38 inches wide, 1.34 inches high and 1.38 inches deep. By Gothic Alchemy. This ring looks GREAT in person! It is a pretty big one as well. Be prepared for a good amount of weight.